"Best All-around CAD/3 software "
Great integration of 2 d and 3d. Wide variety of extremely useful Plug-In objects that make drawing and modeling quick, easy and versatile for design studies. The more recent version of their Resouce Browser is quite slow when trying to access items. I did not have this problem in v 2014 but it is very apparent in v2018. One program can han handle many aspects of pulling together presentations. No need for a separate modeling and rendering program. Use various fills, patterns, gradients and my new fave “drop shadows” make for great graphics without having to bring drawings into Photoshop. Easy importing of graphics, photos, etc. combined with veiwporting gives InDesign like features for producing booklets and other types of presentations. Easy to use worksheets for generating schedules and managing data without having to go into Excel. While these type of features are not as robust and sophisticated as these other specialized programs, the convenience of being able to execute such a myriad of tasks in one software is really terrific. "USER FOR OVER 10 YRS." There are a couple of things I dislike: when you upgrade from one version to the next, sometimes you loose information and programed preference or standards. That should not happen. The other thing is having to put so much time to input data to make the application possibilities a useful toll. I'm an Architect, landscape architect, and urban design. I use it for all my design projects in all the phases. I use the the rendering capabilities of renderworks for presentations, I they work fine. .
What Building Design and Building Information Modeling (BIM) solution do you use? Vectorworks Designer allows you to work in any way you prefer - there is no pre-defined workflow. It is extremely capable and can be as 2d or 3d as you like; it can be a BIM powerhouse, or a simple (yet sophisticated) drafting program. Great software and I did not even mention how robust its modeling capabilities are. Not a lot! - but if I had to describe something it would be the overwhelming amount of options that it has (which makes it equally great). For the creatives: just try it. Vectorworks allow me to be extremely creative while producing great looking and well detailed construction documents. Everything from initial design to rendering for presentation all the way through construction documents can be performed without ever leaving the Vectorworks environment. This is a very intuitive program to use. It has many easy-to-use tools that create clear, easy to read drawings. The viewport function enables you to look at elements in detail and gives great flexibility in creating various drawing formats. I have always had trouble with the text tool malfunctioning, despite a new issue each year. You cannot edit a text style once set up, which is awful, so you have to create a whole new text style just to change alignment or letter style. Going from one scale to another (in viewports) creates problems with text scale. I have even had it ignore a default style set for a certain class and substitute an entirely different text style, and continues to do so even after making sure the default style is what you want. It writes over itself sometimes. The drawing label tools doesn't work sometimes in viewports, but will work if written over the viewport (instead of as an annotation). I waste a ton of time fussing with the text tool. Take a class or hire a tutor (which I did) to make the most of this product. It has so much more than I ever use, but I know it's there and continue to develop my knowledge of the program. This enables me to produce plans quickly as an individual designer working alone. I can quickly import other drawings, photos, etc. and make them a component of my drawing. I do minimal hand drawing now which helps hand problems I've developed from years of drawing by hand. "VectorWorks is a great program with some room for improvement." The visibility of the drawing space. It is easy to see your work and changed between views and projections. Like the newer Cinema 4D-based rendering engine. The layers and class feature is too complicated for basic work, an option for something closer to Illustrator layers would be preferred. The walkthrough/animation options to create movies of projects are too simplistic, having multiple and greater options for cameras would be preferred as well as camera-on-path tools would be great. Needs better polygon-level creation and editing tools for 3D work. So far, learning the new resource palette interface in VW 2017 is cumbersome. I am very used to the old resource palette format, learning a new one is time consuming. I wish the landscape generation tools could be updated, it is very hard to find on the Mac platform good tools for working with high-res DEM and related files to create realistic topography, this is one area VectorWorks could offer a more advanced capability to the Mac design world. A program very useful for CAD and architecture. Extremely versatile and important visualization tool for many different kinds of projects. "Vectorworks n the perfect tool for the entertainment design team"
That's hard to say, and impossible to isolate into a single feature. I like the ability to collaborate either using symbol/layer referencing or Project Sharing. I like the streamlined design workflow. As a set designer, I can 'sketch in Vectorworks, turn the sketches into rendering, finesse the details, improve the renderings and create working drawings for the shops. I like the ability to collaborate, modify the model and have the modifications flow throughout my documentation. I like being able to share the model with the lighting designer (when I'm not also the LD) and the sound designer. I think it's critical that we all work together to ensure smooth and safe installation. The addition of Vision and the integration with Lightwright helps all off the design team, and the entire production team, not just the LD. Vectorworks assigns classes to parts of/types of spotlight lighting devices. I would generally want to assign my own class structure. With objects like doors and windows there are drop downs for class assignment. I would like a choice to assign one class to all (allowing exceptions for glazing), I would like to be able to impose my own classing on object types like renderworks cameras, drawing labels, etc. Just get it. Vectorworks Designer is a great suite of tools for all kinds of designers. I think the workflow in one application and the coordination with clients and colleagues is the greatest benefit. I am simultaneously designing in 2D and 3D. There is no exporting to other software and modifying things that I have already created. Additionally, the file inter-operability with other brands of CAD software and other file types, such as PDFs and JPGs, makes incorporating information from other sources very easy. Some tools seem a little more complex than they should be, like reshaping 3D objects. Sometimes I wish the interface were more like SketchUP, in a WYSISWG kind of way. Other tools require much pre-planning and setup before they will work, which is sometimes contrary to the early creative process. Consider the needs of your company and what kind of information and documentation you receive from clients and collaborators. Also consider what kind of output you need other than just 2D drawings. If you do rendering, BIM, cost analysis or site data reporting with other software, you might be able to do all of that in VW at the same time as your design. Since VW is very powerful in associating information to objects, I am preparing reports at the same time as I am drafting. This helps cut down the time it takes to do project cost forecasts of my work. I am able to deliver a better product to my clients at a competitive price because of this. "Vectorworks Designer is the best BIM application"
Excellent architectural graphic of Vectorworks (all the tools at hand on your desktop). Import-export with Revit, SCIA, Cinema4D, Rhinoceros (Rhino+Grasshopper). There is a lack of tools like 3D-modeling program Moi3D (or similar math and scripts) easy to use. It is necessary to make the display layers of profiles of walls in 3D-view of ClipBox tooll and sections! Spotlight tools should be adapted for street lighting. We need to make the interactive connection link Vectorworks to Lumion, twinmotion3D or LumenRT. I advise you to make a Russian language version with the russian architectural graphic standards. You must increase the number of scripts in the Marionette tool. Vectorworks has easy to learn and use BIM-system. With Vectorworks we solve the problems of the restoration and renovation of old buildings (PointCloud tools), in landscape and urban planning (Landmark-Landscape) in the construction of buildings (Architect) and interior design (Designer + interiorCAD), to street and interior lighting (Spotlight). Vectorworks helps of exchange of the drawing information with foreign business partners. "Best CAD for just about everything"
Start with, it is fully cross Platform with no file translation needed between platforms. The software is virtually identical on both platforms. Next it is a completely capable 2d and 3d CAD platform with tons of capabilities. There are a number of specialized modules for Lighting Design, Landscaping, Architecture, Rendering, etc. It is very, very affordable compared with other Major CAD Software. There is a terrific user community with lots of helpful additional plugins and 3rd party add-ons. While I would not say any true CAD software is "easy" to learn, I believe Vectorworks is easier to learn than many and faster to use once one become familiar with it. We find it an outstanding and most compelling piece of software and vital to our business. No software is perfect, there are some inconsistencies in various tools, the occasional bug, etc. The Developers seem very intent on fixing those things, as updates and patches come out regularly. There is a certain focus these days on the BIM approach, which for my business is not all that important, so there are times I simply avoid those parts of the application. Get a trial version, watch some of the tutorials online to grasp the basic concepts, and then start trying it out. There are many online tutorials for a lot of the modules. This is one of our handful of core software applications and is a vital part of our day to day work. It is the main design tool we use for all drawings, and documentation of proposed and installed systems. We have been using in for many years, and cannot imagine working without it. "Why Ive been using Vectorworks for 11 years "
Vectorworks has kept the same interface year after year - improving each tool with the new versions. Other software seems to have fun changing the interface and icons so you have to re-learn software every time you upgrade instead of getting better at software. Also - I know the technicians by name and never have to be on hold for support. When I thought about switching to Autodesk product - just the wait time to talk to sales person turned me off. They have great incentives for student upgrades and reasonably priced subscriptions. Cross over between platforms is never as smooth as I hope. Since they do not have monopoly in US- it can be a challenge to coordinate drawings (exporting/importing). For the small scale projects I'm working on, this is not such an issue. Being able to design and draft quickly is a huge asset to my business. "The only choice for an Entertainment Lighting Desinger"
Drafting programs can be intimidating, Vectorworks is easy to use and learn. I have been teaching the software for over 17 years. I can get students drafting in a matter of minutes. For an Entertainment designer there is no better software, the tools in the Spotlight workspace are exactly what we need. It comes with thousands of symbols, textures, gobo textures that are just not available with any other program. Some programs try to taylor themselves to the lighting industry but they fail because they are not a full drafting program like Vectorworks. I don't think the shortcuts are as intuitive as other programs. Though the cost is much cheaper than other drafting programs the per year cost is high for many small or middle scale designers. As far as an educator it gets harder to get funding for software for our labs. I know the company is working with some schools to reduce the cost. Its hard to justify it to administrator when AutoCad is free for university computer labs. Use the free trial but if you need a great drafting program for Entertainment Design this is the best choice. It is a superior product for Entertainment lighting plots and paperwork management. The program allows me to be more detailed with drawings and quicker with each plot I do. This is the only program I know of that allows you to project real theatre gobos in a 3d environment. This is so helpful when trying to communicate with a director or producer. "Vectorworks Designer never stops improving itself "
The designer package gives me countless symbols to access. As an Entertainment designer, my job varies from Lighting Designer to Event Layouts (Boardrooms to Festivals) to Scaffold Stage Construction Drawings. Using Vectorworks Designer allows both 2D & 3D presentation drawings to convey the information to both the Client & Technical Crews in one file. With new releases each year the content available just continues to grow including more tools and symbols that make my job easier. Can't ask for more! Vectorworks Designer is a great software package, BUT, It can be a little quirky at times. New updates sometimes mess up old tools that have always worked. Usually fixed in the next update. It can be a little crash happy at times too (more so on the PC vs MAC). The backup system they have usually saves enough data to not lose too much information. Using Vectorworks Designer has allowed me to see potential issues with the events i design. From things are going to bump into each other to there isn't enough light on stage Designer provides the nescessary tools to discover the problems at my desk versus out in the field (where its cost a lot more money). "The best Software for designers." The interphase let you do too many things, you can design almost everything in few steps. I like the interest of the developers to introduce new resources and tools. If you want to do more with less use Vectorworks Designer. "I've been using Vectorworks as a part of my daily workflow for twenty years. " The releases often feel a little rushed - I'd rather a new version every two years that was rock solid than working through all of the bugs which are almost always a part of their annual releases. Speed and productivity have been greatly increased and it has made it easier to work with clients from afar without as much face to face time (which is still preferred but often too costly). "Great software only for 2D drawings"
Vector works is a great software for creating floor plan, elevation, section, annotation and creating different design schemes. This software helps to simply create schematic drawings and add color and texture to them and make them sketchy in the feasibility phase of the project. Also, vector works is a great software for creating very detailed construction drawing. This software is really similar to AutoCad and it is compatible with AutoCad as well. Vector works is just great for 2d and it seems creating model in 3d is not as easy as sketch up. My manager at work tried hard to be a master with vector works and tried to learn all the 3d features, but it was really to difficult. In addition, the shortcuts for this software is not really easy . I know we can change all the shortcut but whenever you install the software you have to set up them again. I wish the short cut in vector works was as easy as Auto Cad. It's an amazing 2d design software for drawing accurate design. I'm working as a design drafter for a design build company and I help them with drafting of their construction and permit drawings. I love the speed that Vectorworks allows me to work at. I can within a few days quickly draft up a mockup and modify it quickly. This tool has allowed me to push my project ahead faster than I could have using other drafting programs. After using this program for a number of years also the speed I can quickly come up with a show set package has increase because of its hotkeys. Sometimes getting a nice finish with drop shadows is a little difficult and getting a quick count of specific symbols is hard. Sometimes the text editing can be a bit step intensive between drawings of different scales but it is a simple inconvenience rather than a show stopper. The price tag, and lack of payment plan, makes it hard for me to upgrade year after year. I would definitely recommend this program to other scenic designers. Its ability to quickly create 2D drawings is very easy and its 3D capabilities are quickly becoming a staple in my work flow. Also its ability to effectively get you easily editable drawings takes a little bit to learn the work flow, but once established you can edit any part of your drawing quickly and efficiently saving time and money. For my job I am in need of quickly and clearly illustrating scenic designs to a variety of shops. The ability to quickly draft, as well as add custom poche' and drop shadows helps my drawings be interpreted quickly and accurately. "I have been using Vectorworks faithfully for over 20 years. " The 2d drafting is impeccable. Easily the best drafting software that I've used in 25 years of CAD drafting. I work in the entertainment industry, and I've taught on the undergraduate and graduate levels in Theatrical Design. The 2d software is the easiest for young designers to understand, and the best way for visually-based artists to get their creative ideas into "real-world" scales. Once the 2d elements are developed, Vectorworks makes it easy to extrapolate ideas into the 3d world. The integration between 2d Vectorworks and 3d Renderworks is practically seamless. Nemetscheck owns Cinema 4d, yet the connection between VW and C4D has not improved in years. The steps which were attempted in VW2017 failed miserably. They really need to put forth a stronger effort towards the mutual exchange between VW and C4D or they will run the risk of being left behind. Programs like SketchUp are making strides at getting better in the area of software interaction. They also need to continue to stabilize the software. Every year the subscription users are forced to start using a new release which is completely unstable. Personally I have usually had to wait 3-4 months from the release of new versions before I can start using it. This has caused a lot of anger and resentment from loyal users, and is often construed as being a sign that Nemetscheck cares more about selling a new product rather than selling a reliable product. I feel that this software is excellent for the Entertainment Industry. I have no idea what this question means. "Have been using Vectorworks and it predecessors since 1992"
The interface is fairly straightforward. Vectorworks contains more bugs that it should. It will also get in a mode where it will not perform the command, but will after several tries. There are some obvious functions it does not support, such as a cut command for 3D objects that preserves both parts. 3D features not as robust as the leaders AC, SW, ProE. Is good for the price. VW does not place the same value on Designers as it does on Architectural. I would call it a top runner for the second tier Mechanical Engineering CAD. You have to spend much more to get better. Have designed parts and systems in solar engineering, microscopy, ophthalmology, and 3D printing. I like that the program is reliable, and fairly easy to use. I am a theatrical lighting designer so the data exchange with lightwrite saves eons of time on every production. The program works in a way that allows even a novice user such as myself easy access to create drawings that do not look at if they have been crafted via a machine. I very much dislike the fact that the program has not yet evolved into an affordable subscription model as of yet. For a working freelance artist, 500+ $ annually on updates is a lot of money. We do not Comand the large annual salaries of an architect or others that utilize this program. I am currently designing several productions using vectorworks and it streamlines my workflow. "Its my first professional design software I learned to use and still use it." I use Vector since college, its my personal favourite tool every time im going to build something or need to design exhibition stands, furniture and architecture stuff, for me is the best tool because it´s easy to use and you can draw blueprints as long as you are making a 3d model. I really like that you can set up preferences, menus and commands just as the way you like it. I would really like a better render and more freely 3d shapes though. On the other hand y believe this program should give some compatibility with adobe files. its very easy to use considering its a cad program, I would really recomend it. It helps me to design blue prints and to show the design in 3D at the same time. It's a simpler version of Autocad, and easy to learn from Youtube. Straight forward program. If you know how to use Autocad, Vectorworks is a piece of cake. It's like PC vs. Mac. Not all firms and architects use this program, therefore it's not easy to format or export/import files in from Autocad. Easier to use than Autocad. You can customize VW like Cad too. No business problems. We draft, and it gets the work done. The files aren't as big as Autocad, so it's easy to run on Mac. As an interior designer who works independently, most of the software I purchase has to perform multiple functions, as I don't have the time or resources to learn and apply multiple forms of presentation to clients, so this fits the bill really well, and I have not had to learn different technologies to stay current with the industry. "I have used Vectorworks and the Designer series for at least 30 years"
The ability to turn a plan view into a 3d model very quickly. I like the ease of adding textures to surfaces. Support and videos are also excellent. VW offers me the ability to quickly illustrate design ideas and lighting concepts. My job would be severly hampered without this software. "Practicing Architect for 32 years"
I started with early versions of Mini CAD, it was very easy to learn, since then Vectorworks has developed into a very powerfull program that compares to the best. Not sure if it is a dislike yet, but I have people telling me I should get Revit. I don't want to I hear that Vectorworks can work with Revit just haven't tested it out yet. Getting more into the 3D, But need to make the full transition. Easy software for learning drafting in both 2D and 3D. Importing any student files(free user) or portions of files instantly watermark any of my professional files, exporting to DFX files end up with far more vector points and are difficult to use with CNC machinin. Can be quite pricy of a program if its not a primary program you need but more of a secondary. Try out a free version first and really do a price comparison if its best for you cost wise. I draft for theatrical productions, groundplans, unit elevations, and renderings utilizing the full span of the VW design software. This is a pretty intuitive program. The first time I used Vectorworks, I had never heard of it before, but I had previous experience in Revit and Sketch up and was able to easily apply that knowledge to Vectorworks. Coming from a Revit / Sketch up background the editing capabilities seemed somewhat reduced. It's always helpful to search some tutorials when using a software for the first time. We used Vectorworks to create basic floor plans, elevations, and sometimes renderings. This is the most complete and versatile product I have ever found. I work in both the Theatre and the Landscape design world and it meets my needs well for both. While I may be unique in using it in more than one of its fields the advantage of having the basics without having to learn an entire new software for each filed is great. Seamless products. When you make a change it is it reflected throughout the document whether that be in the drawing or the paperwork. "Vectorworks has given me a wet to show customers my designs"
This is an absurd question. When someone like a product why then are you forcing that person to fine things wrong with the product. Need more concentration for events and lighting. Need HUGE events library with theme decor props, flower centerpieces, decorations, etc. To show customers EXACTLY what will work for their event. "I Like the Comprehensive capability"
"ease of use: Vectorworks designer w/ Renderworks 2015"
Ease of use and very low learning curb. I like how it combine the plan and 3d model. I use it mostly for architecture, at the time when I bought Vectorworks Designer it was better deal than single module. The viewport is very handy also and I have been doing a complete projects from design development to working construction document on one file. 3D rendering is very good, have not used photorealistic rendering often as I have on 2007 Macbook pro, it can handle it but in takes a long time process, otherwise other rendering setup is worth using as it take less time. Cannot copy and paste viewport or import, some plug-ins has some quirks specially Doors and windows it cannot be customize beyond its limit, Tool pallets Icons and text are bit small for an weak eyes like mine, lack of customization. Hatch customization is complicate. Its ease of use and learning curb is the selling point of this product, If you were to buy the product it would be wise to purchase VSS, a yearly subscription. It would save money on the upgrades alone. Space Planning, designing homes, 3D modelling for visually illiterate. vectorworks (2013-2015) has increase my production by using the viewports and using the automatic drawing co-ordination. "VW does what I need when I need it"
Inconsistent interface sometimes as tools developed over time and got integrated into the product. "Event and Environment Designer - Temporary Spaces"
I do a lot of floor plans and build drawings. I really like the super simple features that allow me to create scale drawings with ease. The object palette is general is extremely useful and efficient for me in typing and double checking measurements. For capacity purposes, I find the area measurement to be a very beneficial feature as well. Also I love the way you can annotate viewports on your sheet layers. This makes build drawings so clear and overall has helped me improve my level of execution and quality of specs. The way the viewports continuously relink/update every time you change something in your drawings is also crucially helpful. I think one thing that frustrates me sometimes in the way hatches and patterns appear in my viewports. I've had a hard time mastering this for some reason. Even when I mess with the advanced settings and change the export sizes of the hatch or pattern, it never seems to come out as I want it too. It's difficult to control. Sometimes it's just the wrong size and sometimes it appears super pixelated. When I'm doing floor plans and I'm using those different hatches and patterns to symbolize a certain item or area, I really want it to appear a certain way and can't always achieve it with those tools. I think the basics of VW are very intuitive, especially if you use other design programs such as Illustrator for 2D and SketchUp for 3D. A lot of the tools and features have similarities that make VW easy to pick up. The biggest difference is getting used to using not just Design layers, but also classes and then sheet layers, etc. But once you understand it, I think it's easy to understand the use and benefit of it all. I'm constantly working with various venues and plotting out elaborate floor plans, so the ease of just mapping spaces out in VW has been extremely beneficial. Other programs make it complicated sometimes to work with large scale spaces because they only allow a certain size artboard, or don't allow you to change the scale of the entire drawing so that your information all fits in one place. As said above too, being able to create viewports and annotate them, especially of 3D drawings and then being able to change the viewport to show whatever angle I'd like, has been incredibly helpful in improving the quality of my build drawings. This has been huge for me because it makes communication between myself and the designer and carpenters much smoother. "Overall best design/drafting product around." The way it draws geometrical primitives and treats them as whole objects. The ease of going form 2-d to 3-d in one step. Vector works is best when using it for lighting design as it has built in communication with Lightwright and both softwares work together. The keyboard shortcuts are nice and customizable and the fluidity of converting between AutoCAD and back is so seamless. There is no app for tablets or smart phones. The subscription program is great but you no longer get DVDs. For the price at least a USB drive with the software would be sent out, if not a DVD too. Play with it at first , but its best to use it the way it was designed, so you can use as many of the cool features it comes with as possible. Yes, it converts back and forth between DWG and DXF with ease. the graphical object based CAD program. It allows me to be a graphic designer as well as a draftsman. rendering is okay at best. The export to VR is still a work in progress, and doesn't allow me all the control that I would like. Working with a Point Cloud is a bit difficult when you zoom in to close. VW also hasn't developed a lot of tools for Point Clouds. It's good for what I use it for, but I would not consider it for any large commercial project. Being able to put a customer friendly design in front of people that can't read a floor plan, helps a lot. "Long Time Vectorworks user gives honest opinion of the product"
Having used Vectorworks since 1994, I can say the improvements over the past 20+ years have been pretty good. The platform was always very intuitive, easy to learn, fun to use, an best of all... stable. Vectorworks has been in the BIM software business before the term BIM even existed. Being able to draw in 2D plan and have a 3D model basically automatically has been a savior for my design work over the years. It saved me lots of time and money. Unfortunately, Vectorworks started with a solid platform and hasn't improved much outside of speed, minor tweeks, some GUI organization, and the like. One area other BIM software packages are embracing is 3D scanning and point clouds. I have talked to reps at Vectorworks on a couple of occasions and asked them if they plan on including any point cloud importing in the near future. They said no. I am afraid Vectorworks is making a huge mistake and it may come back to bite them in the coming years. It is a great product. Just be prepared to train staff because finding people who know only know how to use it but can use it well are rare. When I can, my drafting/modeling software of choice is Vectorworks. I have used it from designing and master planning entire campuses to organizing furniture layouts to creating simple posters. The ease and speed are awesome and most people with some CAD knowledge can get up to speed with the program in a very short period of time. 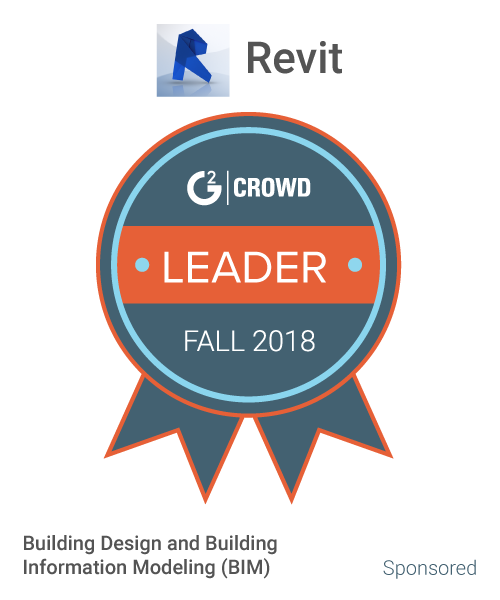 "Overall, a great 3D CAD package"
I have been an Autocad user for more than 20 years and have been transitioning over to Vectorworks for the past six months. I'm currently using it for some very detailed design and assembly, which goes directly to fabrication. At first it was difficult to get used to the lack of a command prompt, since I was using Autocad before it had a GUI, but I adapted pretty quickly. The second difference I had to get accustomed to was the fact that the workflow in Vectorworks has more in common with Adobe Illustrator than it does Autocad. You don't really think in terms of lines anymore, so much as shapes, this can take some getting used to. I think for pure 2D vector drawings, I'm probably still faster in Autocad. 3D space, however, is where Vectorworks really shines. Taking your 2D drawings and extruding them into 3D, viewing them, and working on them is all very easy and very intuitive. There are still a few quirks, such as when working with booleans, but it's still a very gentle learning curve. There are a few things I'm not so wild about, such as tweaking dimensioning styles, and the "classes" verses "layers" thing is a bit weird, but that probably comes from my relative lack of experience with Vectorworks compared to the amount of time I've spent in Autocad. It isn't a true parametric 3D package like Solidworks or Inventor, so sometimes working in 3D can be a bit more work. Also, as previously mentioned, I'm not that wild about handling dimension styles in Vectorworks. One thing that strikes me as odd is the use of the word "class" for what Autocad users think of as "layers." If you're a programmer, the word "class" means something else entirely. Also, DXF file export does not seem very compatible. I am exporting a lot of files, and I have to pass them through Autocad before vendors can read them. I wish this could be addressed, because it's a real hassle. If you're a long-time Autocad user, there's a bit of getting used to things. I am doing some very detailed assembly drawings in 3D space, exporting them to DXF (see above for some issues with that,) and then sending the files off to vendors for fabrication via CNC routing and lasercutting. The ease of use in 3D space in VW has completely changed my design process, in a good way. "Tough program to learn. Needs improve in almost every area." The rendering program is ok. Its better then top notch products like SolidWorks. The program is a great hybrid between architecture and product based program. I use it for event based products, so it meets my minimum standards. The program does allow for quick easy pricing and engineering. Tutorials online are the worst maybe worst then trying to learn advanced chinese without know basic pig latin (pig latin and chinese are not related making the point that it is very difficult to do this). Rendering program of Renderworks is bad and thats not an understatement. We tend to solve all sorts of solutions here. We make event based products for people. The product has benefits like coding pieces for pricing. Software is pricy, to a point of being cost prohibitive even on subscription renewals. Software is buggy and crashes all the time. Programmers are more interested in adding new elements so they can keep justifying the excessive cost rather than have it work. At times software is very frustrating. Vectorworks is the easiest and most common tool to do my job. "Melhor software BIM para arquitetos"
É o mais adequado software BIM para arquitetos por ter sido originalmente desenvolvidos por arquitetos e continuar sua evolução tendo arquitetos em sua equipe de desenvolvimento. Realmente não. Falta conhecimento por parte do público alvo de suas competências. Modelagem extremamente competente, excelente interação com outros softwares BIM e CAD, agilizam muito o trabalho, além de produzir material impresso em altíssimo nível, planilhas internas, renderização interna. Ease of use and depth of the programs ability to provide visual representations and BIM simultaneously. Not enough photo realism for irregular shapes and textures. Using site survey information to create upfront estimates for site development costs and then seamlessly integrating this information into structural design and documents . As a result clients have the ability to adjust outcomes based on in depth cumulative data. This helps eliminate unintended consequences that occur when there are gaps in communication. "Vectorworks provides all the design tools I need." Being able to work through a design project from initial concept through design development and construction detailing with BIM tools. That everybody doesn't use Vectorworks. Coordinating with other offices still using 2D CAD and other packages can be a pain. Switch. You wont regret it. Not having to have a suite of design software packages is a real benefit. Using Vectorworks for technical drawings/packages is simple to learn. VectorWorks modelling capabilities are limited in comparison to other CAD 3D modelling programmes. Consider using Google Sketchup and exporting model into a rendering programme, such as Artlantis. Vectorworks is a cheap package to allow you to use it for Technical drawings and modelling. If you want really good technicals, then I would suggest AutoCad. The benefits of this programme is that it is cheap and therefore affordable for universities etc... It allows for students to practice getting used to CAD modelling and technical drawings. "VectorWorks review for G2 Crowd"
I like that it's clear and simple to use. I tried using other programs like Auto Cad, and in my personal experience, Vector Works was much more practical. I don;t really like the fact that it takes a long time to open. In the meantime, a lot of software programs tend to take a lot of time to start. I used Vectorworks to desing the blueprint of a house and on another job, the blueprint of an office. In both cases, it was easy to work with and the customers were satisfied. "The good, bad and ugly of Vectorworks "
Vectorworks does a great job of rendering textures and is pretty easy to use. Unlike AutoCAD that uses pos/neg numbers when manually entering a number, VW uses only positive numbers once it knows which direction you're going. Rendering is part of the package, you have to import libraries to make AutoCAD do the same thing. There are lots of functions within Designer that other versions don't have. If you are working on existing rooms for theater you probably need Spotlight, but if you have to build a room with doors, windows, etc, you need Designer. You need a beast of a machine to get VW to operate correctly. use 32GB of ram and the best video card you can afford. Even then VW will still lock up for no reason, and you can rarely reproduce it. The camera function has some retarded behavior about it. You just have to get used to the weird behavior of VW. The absolute worst thing that VW has never fixed is their upgrade procedure. When you install the newest version IT DOES NOT RETAIN ANY OF YOUR SETTINGS OR PREFERENCES....EVER! And all of your custom symbol files need to be updated if you plan on using them. Huge pain. Get Designer if you need to build doors, windows, landscape, and production. Designer has Spotlight, Arch, Fund, and Render all built into it. The purpose of VW was to show clients a show design in the actual room they are looking at renting. I enjoy the ease and the many options Vectorworks has to offer. This includes importing drawings with ease and able to duplicate and expand the drawing. Just the price. I have been very pleased with everything else. My business is in set design for TV and Film. addapt to my way of create and process ideasas architect. "Vectorworks Designer a powerful 2D/3D CAD Tool"
I started working in Vectorworks in 2003. I'm please that succeeding generations of command structure have been built on the first version I learned. While successive generations have added features and functionality, each edition has not required a steep learning curve to master. It is a shame that VW does not have a larger market share. My challenge is to visually describe in the simplest terms possible the intent and detail of a specific design. VW is a fully functioning 2D/3D design platform with an very competitive cost per seat price. I enjoyed the ease of using Vectorworks Designer with lesser complications as compared to other software. Vectorworks Designer has little emphasis on some extra details available in other software. However, it is a good software for those who are seeking the ease in terms of software navigation in executing design tasks. I am currently not using Vectorworks Designer. However, my previous project has benefitted a lot from this software. I was able to render my file at ease without complications. Also, I was able to work my projects with organised interface and navigations in the software. I would recommend Vectorworks Designer to anyone who is searching for the best architecture or rendering software. * We monitor all Vectorworks Designer reviews to prevent fraudulent reviews and keep review quality high. We do not post reviews by company employees or direct competitors. Validated reviews require the user to submit a screenshot of the product containing their user ID, in order to verify a user is an actual user of the product. Hi there! Are you looking to implement a solution like Vectorworks Designer?